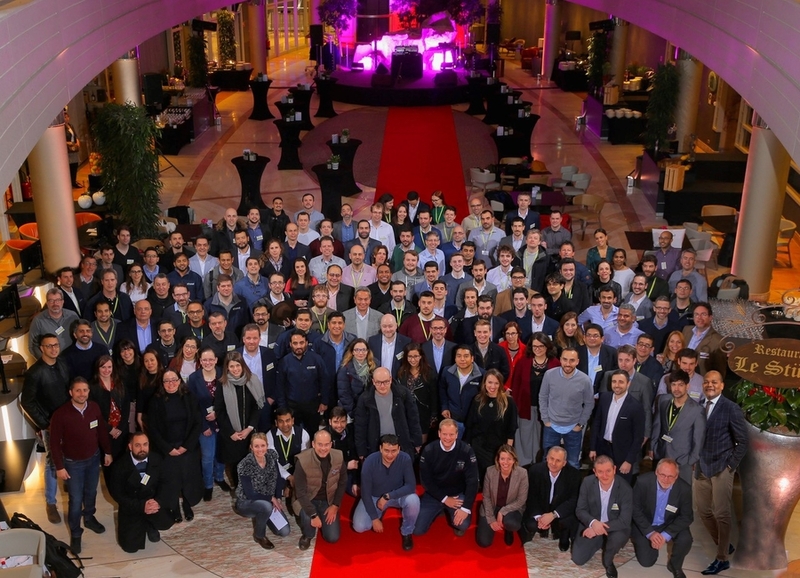 WINDHOF, LUXEMBOURG, March 16, 2019 /24-7PressRelease/ — More than 160 eProseed employees have made the trip from across Europe, the Middle East and beyond the Atlantic to attend the first edition of eProseed World, a two-day event held in Luxembourg on February 8 and 9, aimed at promoting exchanges and triggering debates between all the active forces of the company, featuring keynotes, breakout sessions, live demos and, just as importantly, team building games and true moments of fun and conviviality. “We can be proud of what we have achieved so far,” he said. “But this would not have been possible without being a team, despite our multiple operating geographies, cultures, languages, environments and even working methods,” he added. “Even if the pace of economic activities varies between regions, Oracle is a global player and, unlike our competitors who are often fragmented per technology, application or industry and are mostly national or regional players, we have a very clear focus on Oracle technologies and we have the will and the ability to deliver our services internationally,” explained Geoffroy de Lamalle. Among eProseed’s critical success factors, the most important one is undoubtedly customer centricity. “Then come our values, our constant concern for quality, our taste for innovation and the pleasure of creating, wish distinguishes us from the other players on the market,” reaffirmed Geoffroy de Lamalle. “We also want to keep our high value positioning, which means that we must and will continue to work on complex projects. This is challenging, but this is very rewarding,” he underlined. In addition, eProseed is a real glocal player with a strong local presence in several regions of the world, leveraging this approach not only to deliver services internationally but also to open new markets. And for those success factors to be sustainable, they must be conveyed by each and every eProseedian. Stéphanie Noël, Chief Operating Officer, then took the stage to introduce eProseed’s new target operating model. After having set out her maturity analysis of the company’s operations, she told the audience that eProseed needed to apply new ways of managing both talents and service delivery. “We must implement a new target operating model because our company is growing at a very fast pace,” she explained. “Dealing with more clients, bigger projects, more people and new locations leads to higher workloads, increased complexity, managing more talents and organizing better exchanges,” she added. “My main missions as CTO involve pre and post-sales activities, the management of our partnership with Oracle, internal and external evangelization, and the recruitment of specialists,” explained Fabien Henriet, eProseed’s Chief Technology Officer. To put this in context, he pointed out that last year, eProseed had issued 135 proposals worldwide, “which is about one proposal every two or three days. eProseed holds 11 Oracle ACE Directors, ACE and ACE associates, 7 Oracle Certified Masters, has earned 19 awards since its inception and held more than 20 sessions per year at Oracle events on average. Our company is an authorized and certified reseller for Oracle PaaS and IaaS, Exadata, Exalogic, SuperCluster, and a variety of other Oracle products,” he added. The last speech of the event was delivered by Sonia Silva, Chief People Officer, who outlined the maturity level of eProseed’s HR department and the policies and measures to be implemented in the short and longer terms as regards human resources. “My mission encompasses talent recruitment and talent management as well as HR daily operations,” she said. According to Sonia Silva, the talent management formula, if it exists, must take into account the concepts of Competence, Commitment and Contribution in order to bring the right people in eProseed, integrate and motivate them, and to ensure that they truly deliver their value.